Wednesday, Nov. 21, 2018, 2:30 – 3:30 p.m. 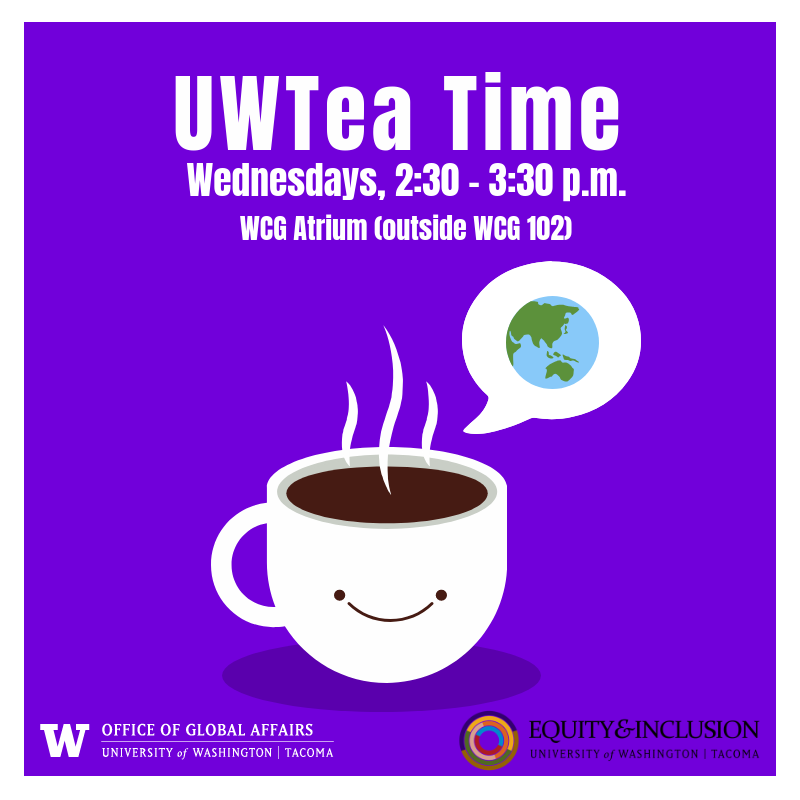 Enjoy free tea and coffee, taste treats from different cultures, and meet other UW Tacoma students and staff. International students can also ask quick questions to their international student advisors. Each week, we will highlight a cultural celebration or feature snacks from a different country or culture. To request disability accommodation, including American Sign Language interpretation, contact the Disability Resources for Students office at 253-692-4508, drsuwt@uw.edu or submit a request at www.tacoma.uw.edu…. The University of Washington │Tacoma makes every effort to honor disability accommodation requests. Requests can be responded to most effectively if received as far in advance of the event as possible, preferably at least 10 days.